The British high Court today handed down a deeply disappointing and some might argue astonishing decision that arms sales to the Saudi Arabians represents no risk to human rights law. The case was brought by the Campaign Against the Arms Trade CAAT and concerned the use of weapons sold to the Saudis and being used by them in the ‘forgotten war’ in Yemen. We have in this blog been drawing attention to the terrible damage being done by the Saudis in Yemen who have used our weapons to bomb civilian targets in that country. These are not isolated incidents or accidents, but part of what seems to be a plan which has seen the bombing of hospitals, refugee camps, schools, wedding ceremonies and market places – indeed anywhere where civilians are likely to congregate. 10,000 have now died there and the country is in crisis. CNN has produced a short film (distressing please note) showing some of the dreadful effects of the war being waged. The Secretary of State was ‘rationally entitled to conclude’ the coalition was not targeting civilians. Saudi Arabia was respecting humanitarian law and is in constructive dialogue with the UK about its processes and incidents of concern. There was no real risk that there might be serious violations of International Humanitarian Law. A CAAT said it was a ‘very disappointing verdict’ and that they were going to appeal. If the ruling is not overturned then it will be regarded by Whitehall and Westminster as giving a green light to continue arming and supplying brutal dictators and human rights abusers. It is difficult to ascribe a rational reason to the High Court’s decision. True they had access to secret information which the rest of us cannot know. But the evidence on the ground is compelling and has come from several different sources and experts. And there is the human rights record of the Saudis themselves in their own country. A record of executions, torture and amputations which puts them in a league of their own. Behind it all is that they are major purchases of weapons and our biggest market for such materiel by far. They are the tail that wags the dog. Few can be happy that for the sake of jobs, weapons supplied by us are being used to cause such mayhem, death and misery in an already poor country. We must sincerely hope that the Court of Appeal overturns this disgraceful decision. We are pleased to attach the minutes of the December meeting thanks to group member Lesley for preparing them. Programme on Channel 4 about the war in Yemen. Those who watched this programme will have been horrified at the destruction which has taken place in this country. It looked as though no part has escaped bombing. Tens of thousands living in camps in desperate circumstances. But perhaps the most chilling was the impact it is having on children and babies with scenes of malnutrition in understaffed and under resourced hospitals. The blockade meant that food supplies sat out in the Red Sea for so long that it was already unusable by the time it was eventually landed the programme showed. The programme brought out well our role in this war by supplying weapons and military personnel to assist the Saudis in their campaign. We have also helped the Saudis on the UN’s Human Rights Council. It is truly shaming that this is happening and our (the UK) and the United State’s role in supplying the wherewithal and the political cover for the devastating campaign. While most of the media’s attention is on (quite rightly) the terrible events in Syria, until now too little attention has been paid to this forgotten war and our dreadful role in it. Boris Johnson, the Foreign Secretary, accuses the Russians of war crimes in Syria so what do you call our role in the Yemen? 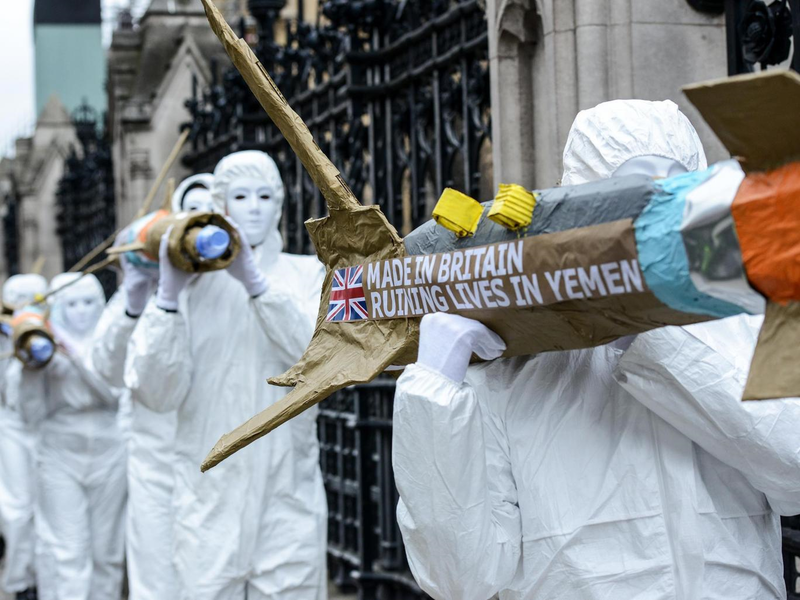 We have described the events in Yemen and the role of the UK in selling arms to the Saudis who are using them to bomb civilian targets in that country. We have been assured that the UK has a strict policy when it comes to selling arms which does not in fact seem to work. The most recent activity by our government is to block and enquiry by the European Union into allegations of war crimes in Yemen. The UN’s Human Rights Council based in Geneva was hoping to carry out a proper enquiry but this was stymied by the UK. Only today, Boris Johnson condemned the Russians for war crimes in Syria alleging that civilians were being targeted. 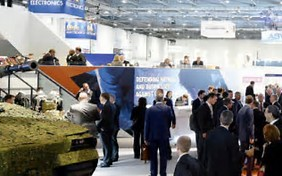 There seems little difference to what the Russians are alleged to be doing and what we are doing by selling arms to the Saudis who then use them to bomb civilian targets, hospitals and schools. The policy has been condemned by Human Rights Watch and by the Campaign Against the Arms Trade. On the BBC last night (6 September) there was an item concerning arms sales by Britain to Saudi Arabia. Readers of this blog will be no strangers to this item and we have been highlighting this trade for some time. The weapons are being used to bomb Yemen and targets include hospitals, schools and even wedding parties. British service personnel are involved in the command centre doing what is not entirely clear. Will be able to but will they? Of course this is linked to the powerful lobbying by the arms firms themselves and countries like Saudi (who have a representative Adel al-Jubeir here to try and persuade the Committee not to recommend banning arms sales). The current version of Private Eye (1246) has a lengthy report on what is called the ‘revolving door,’ that is the huge numbers of senior civil servants, ex-ministers and senior military people who move from their posts into companies and firms linked to their previous roles. It makes the point that sound government is eroded if ministers and other senior people are hoping to hop into a lucrative directorship or consultancy once they leave government or the services. In a four page report it lists the shear numbers moving out of government or the services into commercial posts usually linked to their previous roles. How likely are they to stop sales to Saudi if it could jeopardise their post ministerial employment? The Committee meets today so it will be interesting to hear what they decide.